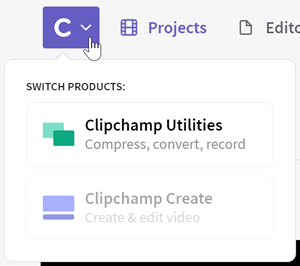 Our Clipchamp Utilities recording tool works on Chromebooks and any other laptop or desktop computer such as Windows, Mac or Linux in Chrome, Firefox, Opera and Edge. Videos are recorded in a format that plays on any device (mp4). It works with your computer's built-in camera and microphone as well as external ones. 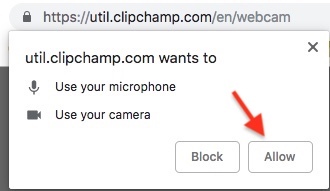 A prompt should pop up (usually in the top left corner of the window) asking if you want to allow "util.clipchamp.com" to use your microphone and camera. Click Allow. NOTE: This is necessary for you to able to record a video. We don't have access to any recordings you make (they stay on your computer) and Utilities only accesses your camera a microphone for the purpose of you using it. If you don't see the pop up, or your camera doesn't turn on, please see this related help article. With the buttons in the top right corner you can change the camera and microphone input (if more than one camera and/or microphone are connected to your computer) and the resolution (you can record in 1080p, 720p, 480p or 360p, depending on the speed of your computer's CPU). 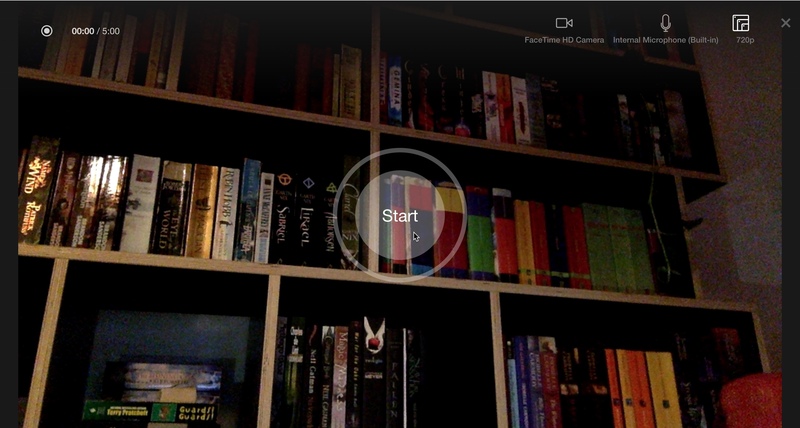 Once you click Start there will be a 3-second count down and then the recording will begin. You can see the elapsed time of the recording in the top left. NOTE: On the Free Plan you can record videos of up to 5 minutes duration. To record videos of up to 30 minutes, upgrade to the Business Plan. 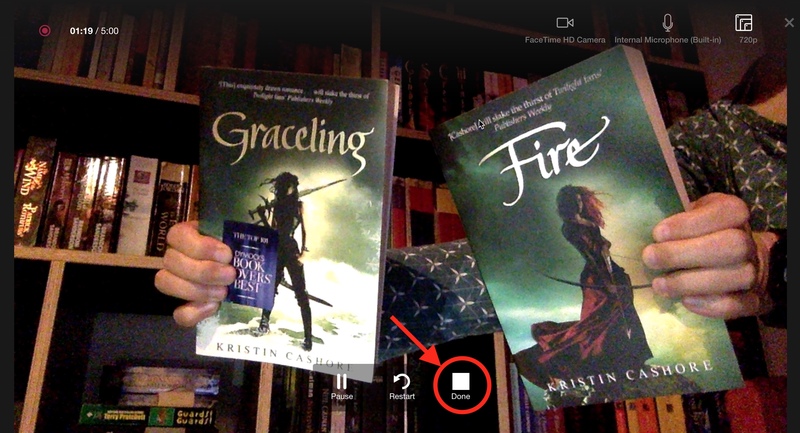 Once you're finished recording, click the square Done button at the bottom of the screen. You can also Pause a recording (which means it will stop recording until you click Continue). 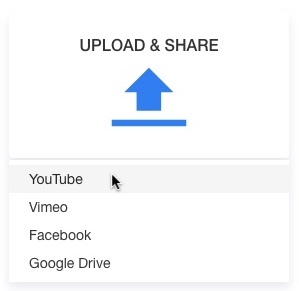 Click Skip in the top right to save or upload your video without further changes. 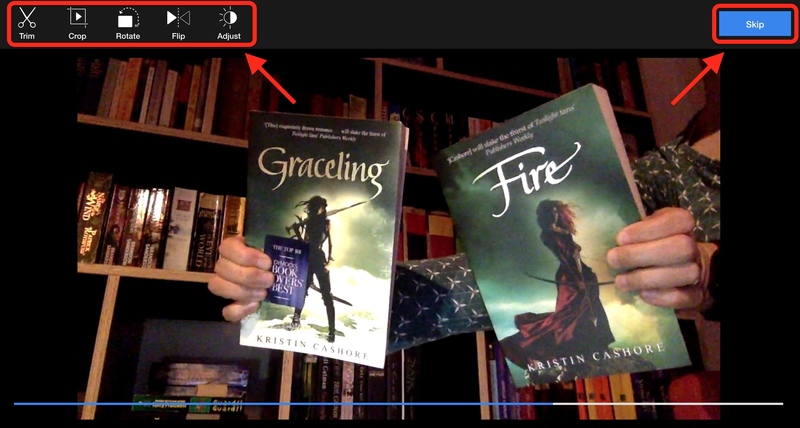 Alternatively, use the buttons on the left to trim, crop, rotate, flip or adjust the colours (brightness, contrast, saturation) of your recorded video and then click Done. Your video may take some time to process, especially if you have made edits. 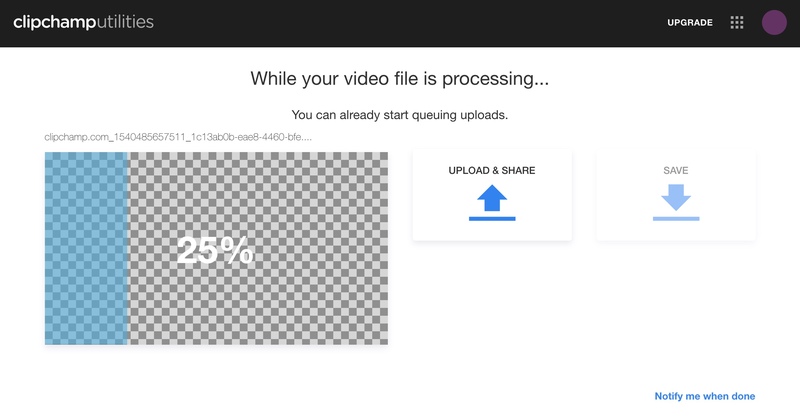 While it is processing, you can start queuing uploads (if you intend to upload it). Once your video has finished processing, you will see a 'Congratulations!' screen where you can watch the video back and save or upload it. Click SAVE to save the recorded video to your computer. 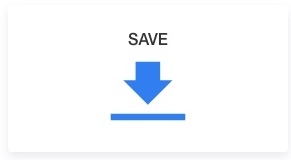 In most browsers the default settings mean the file automatically saves into your Downloads folder. 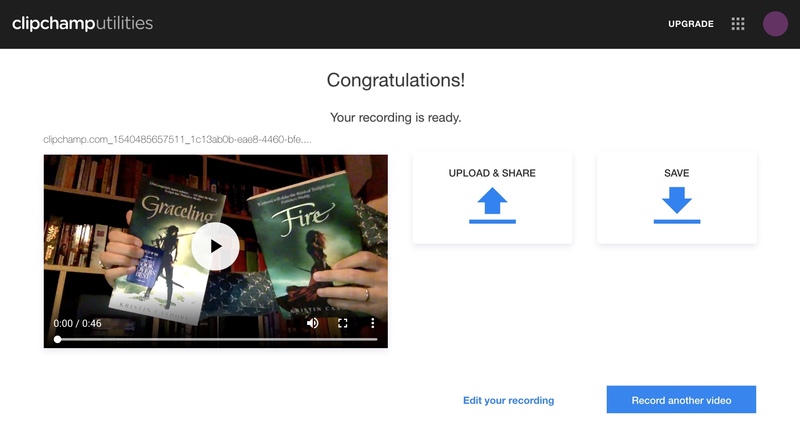 Click UPLOAD & SHARE to upload the recorded video directly to Google Drive, Facebook, YouTube or Vimeo. PLEASE NOTE: you will have to disable Ghostery, Adblock Plus and similar extensions in order for the direct video uploads to work correctly, in particular for YouTube and Google Drive. If you're experiencing problems using Utilities or your video doesn't record, please see: What to do if Utilities doesn't work. If you're recording on a Chromebook, please be sure to close all other tabs in Chrome and also any apps that might be running in the background such as Google Hangouts. This will make sure that as much of the Chromebook's CPU and memory as possible are available for the webcam recording (which is quite processing-intense, so Chromebooks can sometimes struggle). We recommend to record in 480p or 360p resolution on Chromebooks and other computers with CPUs that are not as powerful as Macs or PCs.